This lecture explored why foreign artists were employed in London and provided a brief survey of their work across a period 1500-1520. Instead of looking at the work of individual artists, it looked at key themes (The work of native English painters, the dominance of the one genre of portraiture, the persistent court patronage of foreign artists, the transmission of skills and direct compositions between foreign and English painters, and finally the near dominance of Netherlandish painters in the Jacobean period). It also touched upon the extent to which foreign artists helped to direct taste in England Or conversely, whether foreign artists were adjusting their style or practices to meet the demands of English patrons. The story of painting in England in the sixteenth century is a largely a narrative about immigration. This is true from the early 1500s when independent easel painting and portraiture was only just making its appearance in northern Europe. The early part of the century saw numerous craftsmen's and talented painters travel from Germany, the Netherlands and less often France and Italy to work in England. The most famous of such painters was Hans Holbein who arrived in 1526 for a short visit and returned in 1532 until the end of his life. While Van Dyck arrived in England 1620 for a brief stay, and returned in the 1630s. Yet the history of painting in between the death of Hans Holbein in 1543 and the arrival of Anthony Van Dyck in England in 1620s has traditionally been seen as fallow ground for art historians. This is partly because there are few known artists and most pictures are difficult to attribute. Answering the question 'who was working in England at this time' provides quite a short list of known painters. And yet there were many foreign artist working for both the court and London patrons and a large number of often less talented native painters. It is important to note at this date that painters took on a variety of different types of work - from designing jewellery and printed images to painting decorative designs on all types of objects such as barges, domestic interiors and banners. Therefore much of their work was for ephemeral purposes and is now is lost. Following the Reformation there was virtually no market for religious images in England. Therefore the surviving examples of painted images from this period is in the form of portraiture. Foreign painters certainly complained that English patrons only cared for portraiture and rarely commissioned other types of painted images (such as landscapes, still lifes or history painting). The Dutch painter Cornelis Ketel (1548-1616) after spending several years working in London making only portraits, returned to Amsterdam in order that, as his biographer Karel van Mander said, he could follow his passion and paint allegorical pictures. Numerous Flemish artists appear to have worked in London in the early sixteenth century. An inscription on a portrait of Henry VII records was painted on 29th October 1506 on the order of Herman Rinck, agent of Emperior Maximillian I. It was commissioned as a prospective marriage portrait for Maximillian's, daughter Margaret of Savoy, however the marriage never took place. The portrait certainly appears to be painted from life and would have been produced following a detailed drawing. The handling appears to be Netherlandish in style and it is likely that painter was either brought to England directly for this role, or that once in London Herman Rinck found a suitable continental painter. Holbein's Carton of 1537 - The German artist Hans Holbein the younger of course was the key painter at the court of Henry VIII, but the King was also painted by several other foreign artists including Dutch and Flemish painters . One of the most supremely talented painters working in Europe, Holbein had an outstanding ability to capture likeness but also the vision to construct appropriate compositions. He was typically paid the sum of £4 - £5 per picture and received a royal Salary of £30 per annum. His portrait of Henry VIII painted for Whitehall Palace was destroyed in the late 17th century. Only a paper cartoon (or pattern for transfer) survives today (NPG 4027). The composition was endlessly copied and became the most popular and enduring portrait of Henry VIII. Holbein's design was successful because it managed to capture both an accurate likeness and at the same time present Henry as both elegant and supremely powerful leader. Lee was responsible for organising the accession day tilts, a type of court entertainment manager. He visited Antwerp in June 1568 and it was probably at that time that this portrait was commissioned. It is a particularly sophisticated image for an English patron and the remarkable level of realism and would have stood out in England. The courtly fashion for allegory and emblematic design is evident and Lee must have worked out the complex programme of emblems with the painter Antonis Mor. Like Holbein, Mor was exceptionally talented artist who was interested hyper illusionism or mimesis. In the early sixteenth century migration into London from the Netherlands was reasonably small but those who came were usually highly skilled workers including printers, goldsmiths and painters. By 1560s and 1570s when Spanish oppression against the protestants caused mass migration to other parts of protestant Europe, London also received a considerable numbers of émigrés. Consequently, significant Dutch and Flemish communities existed in London, particularly around the Netherlandish church in Austin friars. These types of artisans and crafts people bolstered the production of luxury goods in the city - increasing the quality of goods available, stimulating native craftsmen and increasing competition. And eventually as these foreigners settled over generations they helped to transfer new skills and styles onto native painters. Many foreign artists lived outside the city limits (often over the River in Southwark) to avoid the restrictions of the guilds which banned non members from working in the city limits. However, not surprisingly, most native painters were unhappy about the influx of foreign workers. Guilds fought hard to maintain the rights of their members to practice in the city without competition, for example in 1578 two hundred London painter stainers signed a petition against the practices of foreign artists. William Scrots (worked c.1537-1553) and Hans Eworth (worked c.1540-1573). Around 40 paintings are attributable to the Netherlandish artist Hans Eworth, mostly portraits in both public and private collections. Eworth arrived in England from Antwerp around 1545 and he remained in England until his death in 1573. He signed his pictures 'HE' thereby claiming the authorship of his work. This was reasonably unusual in an environment where painters were considered mere artisans. Recent technical analysis on four pictures by Hans Eworth (including Mary I NPG 4861 and Mary Neville, Lady Dacre and Gregory Fiennes, 10th Baron Dacre by Hans Eworth, NPG 6855) revealed that these works are painted in a very similar economical technique and that Eworth's portraits were extremely carefully planned, probably making use of numerous preparatory drawings, which were then carefully transferred. 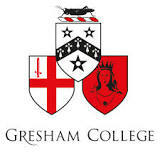 Thomas Gresham's frequent links with the Netherlands meant that he would have known many Flemish émigrés working in London personally. The style of a portrait of Gresham dating from the mid-to-late 1560s is Flemish and if it was painted in London he would have certainly been by an resident émigré. Recent technical analysis has taught something new us about how English patrons commissioned portraiture. Two versions of this portrait exist (NPG 352 and another from Mercers Company). Both portraits have the same final changes (called pentimenti) indicating that they were commissioned at the same time in the same studio. Abraham van Blijenberch (c. 1617-1621), Daniel Mytens (c.1590-1647), Michiel Jansz van Miereveldt (1561/2-1636). The work of these artists is difficult to pin down with certainly and in most cases only a handful of signed paintings exist by each artist. However, a large number of work is either attributed or ascribed these painters, often in way that serves the art market better than it does the historian. However, it should be mentioned that there is a lack of understanding about how extensive these artist's studios may have been and it remains likely that numerous copies and versions were being made under their direction.